Celebrity Horoscope - Imran Khan - The Third Marriage Timing. This chart exactly shows the importance of the concept of Chart + Dasha + Transit = Event. It means that 1st event should be allowed in chart then dashas should activate those houses or planets which are promising the event and then transits should impact the same houses or planets to finally manifest the event. So, chart or dasha or transit alone may not be able to manifest the event. Second thing is that this event of Imran's 3rd marriage actually shows that why it is always the 7th house of relation/marriage which should be looked for relationship prediction, no matter how many times someone is getting married. This is something which I tried to explain theoretically in my article on Second or Subsequent Marriage (http://astrosaxena.com/2marriage) and now we have an example here. Last but not the least, you will get to know all the steps I follow for Marriage Consultation. So, you can find your marriage timing by your own self. Birth Chart - Imran Khan was born on 5th Oct, 1952. 11.50 am at Lahore, Pakistan. On internet and other astrology sites you can find different birth details and different chart but I have got this info from a friend at Lahore :). So, I have more reasons to trust it. He is Sagittarius ascendant with Mars in 1st house showing him as fighter or sports person. Rahu in 2nd house/Capricorn. Jupiter-Moon conjunction in 5th house/Aries. Ketu in 8th house/Cancer. Sun-Saturn-Mercury in 10th house/Virgo. Venus in 11th house/Libra. 2nd house and lord of 2nd house – 2nd house of horoscope is a house of Family Life. So to know the timing of marriage, we take this house into consideration. He has Capricorn sign there. Capricorn lord is Saturn. So, lord of 2nd house is Saturn. 7th house and lord of 7th house – 7th house of horoscope is the main house related with marriage. He has Gemini sign there. Its lord is Mercury. So, lord of 7th house is Mercury. 1st house and lord of 1st house - 1st house is Bhavat Bhavam (http://astrosaxena.com/bbhavam) of 7th house of marriage, i.e. another house to look for marriage. He has Sagittarius sign there. Its lord is Jupiter. 8th house and lord of 8th house – 8th house of horoscope is house related with marriage benefits and In-laws. He has Cancer sign there. Its lord is Moon. So, lord of 8th house is Moon. 11th house and lord of 11th house- 11th house is house of fulfilment or manifestation of desires. So, we consider 11th house too for marriage timing. He has Libra sign placed in 11th house. Libra lord is Venus. So, Venus becomes his 11th house lord. 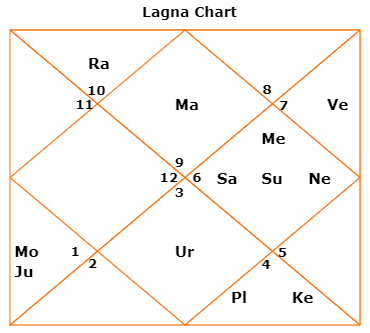 Darakaraka – Darakaraka is planet with the lowest degrees in Birth Chart, except Rahu & Ketu. Darakaraka means Spouse Significator. So, it can give indications about your spouse. For him, it is Mars at 1.55 degree. So, we got all planets that hold key for your marriage. These are Saturn, Mercury, Moon, Mars, Jupiter, Sun and Venus. Besides these, Now, whenever he goes through Mahadasha, Antardasha of these planets, it will bring situations related with his marriage. So, now let’s look at his Mahadasha & Antardasha. Mahadasha & Antardasha (MD/AD) – As we know that our lives move as per dashas we go through, let’s check the Vimshottari Dasha period which can bring marriage like situations for him. He is under Jupiter MD from March, 2014 and within it, he is under Saturn AD between April, 2016 to Nov, 2018. Jupiter is natural karaka of marriage and Saturn is also an important planet for his marriage. So, his current dasha is very much supportive of his marriage. Now, the last step of transits. Transits of Jupiter and Saturn – Now, all major events of our life, like higher education, marriage, child birth etc, depends upon annual transits of Jupiter and Saturn as these two are biggest planets of our solar system. Jupiter is transiting his 11th house/Libra till Oct, 2018. It is also transiting over his birth Venus which is karaka of wife and relation. Saturn is transiting his 1st house/Sagittarius till Jan, 2020. It is also transiting over his Darakaraka Mars. Jupiter-Saturn both aspect his 7th house of relation/marriage. Jupiter also aspects his birth Jupiter and Saturn also aspects his 7th house lord Mercury. Timings – So, all indications were there that he can get married during this year. This also shows that if we consider any house other than 7th house for 3rd marriage then all these dashas & aspects of Jupiter & Saturn won't work in favor of his relationship. So, it is clear that 7th house is the only house to look for in marriage related matters. Also, event doesn't happen due to one single transit or aspect or dasha or a planetary position. An event is the cumulative result of all the above things. 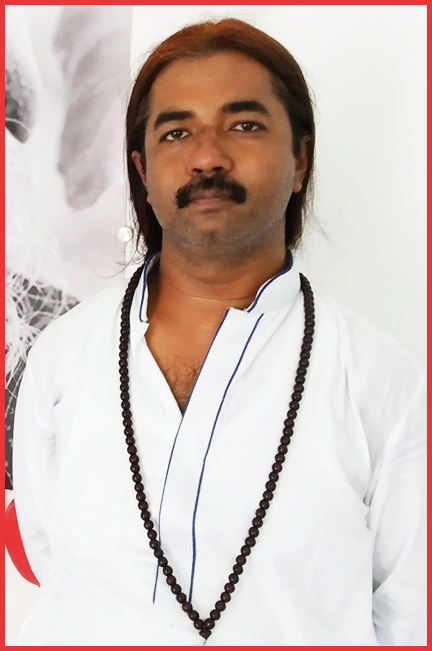 @VSR - May be 5th lord Mars in 1st house aspecting 7th house. sir i am consistently read your website and i learn one thing if 5th lord and 7th lord are connected then love marriage happens in once life. So in this chart mars and mercury are never make a relation so how it is possible to make love marriage?